Author: Nicole, Nikki Set In . . . Description: A businesswoman, wife, and mother, Sinatra Graham's life is good. She chauffeurs her children to their football games and cheerleading practices while running her own beauty salon with a staff of close friends. Unfortunately, life takes a sudden detour when she discovers her husband's briefs smeared with lipstick-and it's not her shade.With her marriage on the rocks, Sinatra confronts her own relationship demons and revisits a past love, the father of her first child. But after she watches how her cousin struggles to find a good man and fails miserably, Sinatra decides to take a closer look at her marriage and decide how to proceed.Sinatra keeps her children's home life stable while She's Gotta Have It, her beauty shop, keeps her busy as she tries to develop it into a successful business. 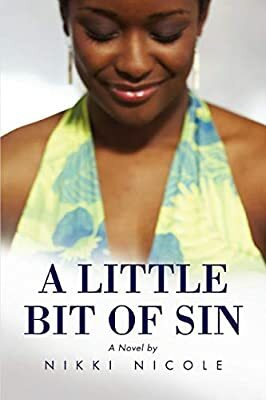 But an unexpected pregnancy and uncertainty over who the baby's father is adds a whole new dimension to her life.A Little Bit of Sin explores infidelity and forgiveness in a story filled with verve and charm. You'll root for Sinatra as she transforms from a woman scorned to a woman empowered.